If Rafael Nadal wins the Australian Open, that’s 18 Grand Slam titles and history says you can bank on a 19th at the French Open. If Novak Djokovic wins, that’s 15 Slams and a record seven Australian titles, moving beyond his current tie with Roy Emerson and Roger Federer on six. 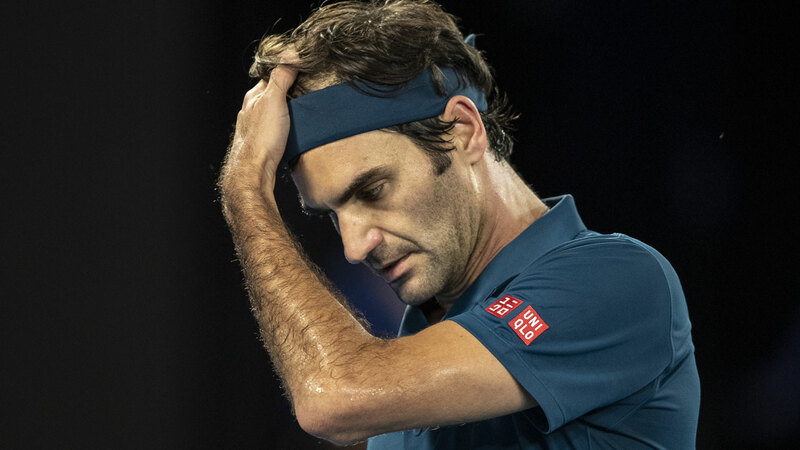 Federer, 37, won’t be adding to his 20 Slams at Melbourne Park, having lost in the fourth round to Stefanos Tsitsipas, Nadal’s 20-year-old semi-final opponent. The window is open for his great rivals to make up more ground in the Greatest Of All Time race. There remains one major question over Federer’s wonderful legacy when it boils down to the G.O.A.T. conversation: How can a man be the greatest of all time when, arguably, he is only the third-best player of his generation? Federer, who has 99 career titles, enjoyed a superb 2018. He won that 20th Slam last January by defending his Australian Open title against Marin Cilic, having claimed the 2017 crown over Nadal. He also returned to world No.1 last year, setting records for being the oldest player to do so (36 years, 195 days); the longest gap between stints at No.1 (five years, 106 days); the longest gap since first becoming No.1 (14 years, 17 days); and extending his record of weeks spent at No.1 to 310. His record of 20 Slams remains his crowning glory; the thing always pointed to when he is named as the greatest male tennis player ever. He may yet overtake Jimmy Connors’ record of career singles titles (109). Yet head-to-head with the Swiss, both Nadal and Djokovic have proven themselves better than Federer; as the stats clearly show. Federer has a 6-9 record against current world No.1 Djokovic in Grand Slams (40 per cent win rate) and has beaten the Serb just once in four Slam finals (25 per cent win rate). Federer trails Djokovic 22-25 in their career head-to-head (46.8 per cent win rate); trails 9-11 in Masters 1000 matches (45 per cent win rate); and trails 6-13 in all finals matches (31.6 per cent win rate). Against his great rival Nadal, Federer fares worse on some counts. The Swiss has a 3-9 record against the Spaniard in Grand Slams (25 per cent win rate) and a 3-6 record in Slam finals (33.3 per cent win rate). Federer trails Nadal 15-23 in career head-to-head (39.4 per cent win rate); trails 6-11 in Masters 1000 matches (35.3 per cent win rate); and trails 10-14 in all finals matches (41.7 per cent win rate). Moving beyond head-to-head, Nadal also has a superior win rate across all Grand Slam finals to Federer; largely thanks, of course, to his absurd tally of 11 French Open titles. Nadal has a 17-7 record in Slam finals (70.8 per cent win rate), against Federer’s 20-10 (66.7 per cent win rate), and Djokovic’s 14-9 (60.9 per cent win rate). It remains to be seen if Nadal, 32, or Djokovic, 31, are capable of overhauling Federer’s Slams tally. It could be argued, given they have existed entirely within the Federer era, that they have had to work harder for their Slams. Federer had won seven Slams before he met either man in a Slam final, with his first encounter a loss to Nadal at Roland Garros in 2006; which he responded to by beating his rival in that year’s Wimbledon final. Make of these lists what you will. Federer W: Mark Philippoussis, Marat Safin, Andy Roddick (4), Lleyton Hewitt, Andre Agassi, Marcos Baghdatis, Rafael Nadal (3), Fernando Gonzalez, Novak Djokovic, Andy Murray (3), Robin Soderling, Marin Cilic (2). Federer L: Rafael Nadal (6), Juan Martin del Potro, Novak Djokovic (3). Nadal W: Mariano Puerta, Roger Federer (6), Robin Soderling, Tomas Berdych, Novak Djokovic (4), David Ferrer, Stan Wawrinka, Kevin Anderson, Dominic Thiem. Nadal L: Roger Federer (3), Novak Djokovic (3), Stan Wawrinka. Djokovic W: Jo-Wilfried Tsonga, Andy Murray (5), Rafael Nadal (3), Roger Federer (3), Kevin Anderson, Juan Martin del Potro. Djokovic L: Roger Federer, Rafael Nadal (4), Andy Murray (2), Stan Wawrinka (2). 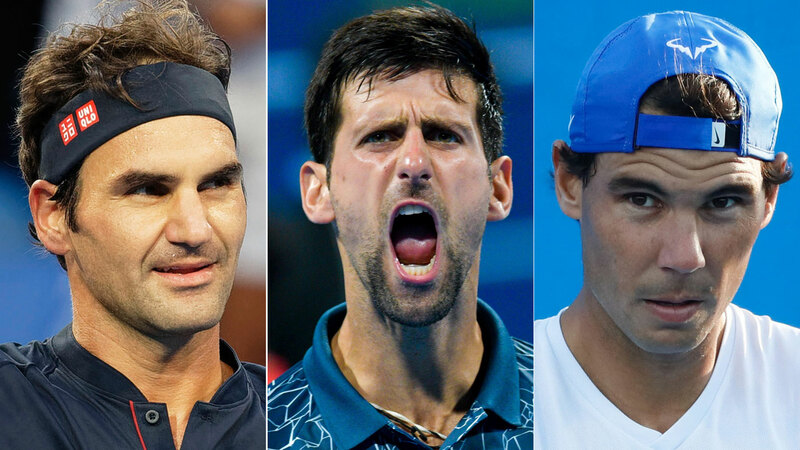 There have been periods in which Nadal and Djokovic have clearly had Federer’s measure. In 2008-09, Nadal beat Federer in the French Open, Wimbledon and Australian Open finals, and all were significant victories. He trounced Federer 6-1 6-3 6-0 at Roland Garros, a beating so bad that it affected Federer mentally against Nadal for years; he won an epic All England Club final 9-7 in the fifth set on Federer’s preferred surface; then he bounced back from a tournament record five-hour, 14-minutes long semi-final against Fernando Verdasco to beat Federer in five sets at Melbourne Park, leaving his rival crying on the presentation stage. Federer, at least, won the 2008 US Open amid the wreckage. The 2008 French Open final, a humiliation inside two hours, was a true turning point in Nadal vs Federer. Before that match, Federer was 6-9 (40 per cent) versus Nadal, 2-3 (40 per cent) in Grand Slams and 2-2 (50 per cent) in Grand Slam finals. He played out the French-Wimbledon final double in the two previous years (2006-07) against Nadal with no ill-effect, winning at the All England Club after a pair of solid-four-set losses at Roland Garros. Starting with his loss in that year’s Wimbledon final, Federer’s record against Nadal after Roland Garros ‘08 was terrible. Before the 2017 Australian Open final, when he beat Nadal in a Grand Slam final for the first time in nearly a decade and also ended a six-year run with no Slam titles, it read 4-12 (25 per cent), 0-5 in Slams and 0-3 in Slam finals. Djokovic, though is the only player to beat Federer in three consecutive Grand Slam final appearances, winning Wimbledon 2014-15 and the 2015 US Open. Unlike Nadal, his peak has coincided with Federer entering his later years and passing his true prime, majestic though he remains. 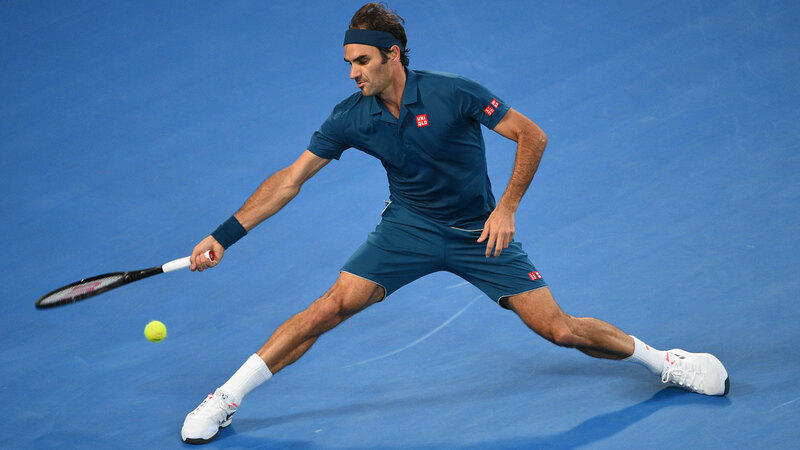 Federer’s extraordinary consistency and longevity are his trademarks, along with the divine one-handed backhand that headlines an inimitably beautiful style. He has played 43 Grand Slams semis, contesting a record 23 in a row from 2004-2010. He finished last year as world No.3, the 14th time he’s been ranked inside the top three at years’ end. He even began last season with a career-best start, an inspired 17-0 run before losing in the BNP Paribas Open final. After losing to Tsitsipas, he insisted he was not a spent force, nor that the next generation of players was about to take over tennis, as John McEnroe suggested. "He's in front of the mic a lot, so he's always going to say stuff," Federer said of McEnroe. "I love John [but] I've heard that story the last 10 years from that standpoint. Nothing new there." However long Federer plays, he won’t square his ledger with Nadal and Djokovic. He didn’t play Nadal at all last season and lost both matches he played against Djokovic. He missed the chance to play Nadal in the semis of this Australian Open, and likely Djokovic in the final. With 99 career titles, Federer leads both men comfortable on that score; Nadal has 80, Djokovic 72. And who knows – perhaps he will add to his record Grand Slam tally, pushing it farther from the reach of his rivals. Wimbledon is surely his best bet, yet he has put his grasscourt campaign under something of a cloud by declaring he will play on clay this season. In doing so, he has abandoned his strategy of the past three years; a strategy aimed at remaining fresh and which played no small part in his winning the 2017 All England Club title. 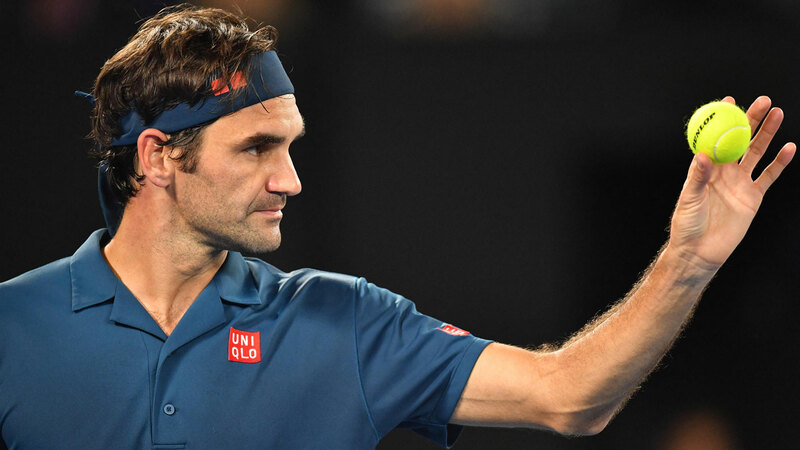 One thing is clear: Federer he meets Nadal or Djokovic in a Grand Slam final, the man widely referred to as the Greatest Of All Time is actually the underdog. The best we’ve ever seen … yet at the same time, arguably third on the podium in this incredible era for men’s tennis.